This is a mailer for Public Regulation Commission candidate Hank Hughes. Just let me make the following points. 1) I do not, nor have I ever worked for the PRC. 2) I am not a flunkie. 3) I can't speak for Nash. 4) I'm sure Hank didn't mean it that way. He probably was referring to this story. That’s a reference to state GOP chairman Harvey Yates, who on Sunday scolded Weh for his recent attack ad against Martinez — the one that alleged Martinez was “caught red-handed” not paying taxes and spent taxpayer dollars on iPods and meals at Hooters. However, concerning Yates’ favorable verdict on Martinez’s “amnesty” ad, FactCheck disagreed. “We think there’s plenty of evidence to find guilt on both sides,” Kiely and Novak conclude. FactCheck.org is a creature of the Annenberg Public Policy Center of the University of Pennsylvania. Enchanted Land no stranger to FactCheck: It’s been a while since New Mexico politicians showed up on FactCheck.org. I believe the most recent time before Wednesday was two years ago, when the site criticized attacks by Steve Pearce and an anti-abortion group supporting his Senate bid against Heather Wilson in the Republican U.S. Senate primary. Back when he was running for president, the current governor made frequent appearances in FactCheck.org articles. “New Mexico Gov. Bill Richardson added to his string of inflated, false or dubious claims,” the website said following a presidential debate in December 2007. “Democrat Bill Richardson also mangled the facts repeatedly,” FactCheck said in a ‘year-in-review” piece later that month. State chairmen as referees: While it indeed is unusual for a state party chairman to get involved in a negative ad mudfest during a primary, Yates isn’t the first to do so. Back in 2002, when Diane Denish and Jerry Sandel were duking it out for Democratic nomination for lieutenant governor with tough television ads, then state Democratic chairman Jamie Koch stepped in. The big difference between Koch’s intervention and Yates’ is that Koch didn’t take sides. Everyone assumed that he favored Denish because he was a business partner with her father, the late Jack Daniels. But the letter Koch sent to both campaigns revealed no bias. But neither Democratic candidate for lieutenant governor heeded Koch’s words. Denish went on to become Richardson’s running mate, and now she’s running for governor. Adam Kokesh, running in the Republican primary for the 3rd Congressional District, wrote a letter to state GOP chairman Harvey Yates today. Kokesh asked Yates asking why the state party isn't criticizing his primary opponent Tom Mullins for "false statements" and "slander." The letter was spurred by Yates' recent public condemnation of gubernatorial candidate Allen Weh for his attack ad against rival Susana Martinez. Recently, you took a stand against conduct by one of our gubernatorial candidates that you determined to be dishonest. In a statement regarding the issue you said, "Republicans expect honesty in government. How likely is that result, if dishonesty in campaigning is tolerated in those we elect to run government?" While this is true, your conduct hardly reflects a commitment to honesty. 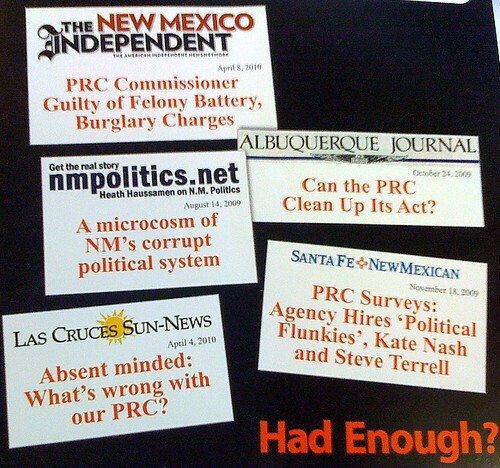 At the state party convention, you took no action against supporters of my primary opponent, Tom Mullins, when they circulated smear cards against against me which violated party rules, and as they lacked attribution, constituted a fourth degree felony under NM law. You then failed to follow state law in regards to the rounding of the vote total. Among those who knew what happened, your integrity failed. Long before he resigned as San Juan County GOP Chair to more openly support my primary opponent and slander me publicly, Rod Montoya had been openly supporting my opponent. When we asked to meet with a representative of the Mullins campaign after he announced, he sent Montoya to speak on his behalf. When this was brought to your attention, you made the lame excuse that if a party official is supporting a candidate on "personal time" it does not violate the party rules of neutrality. 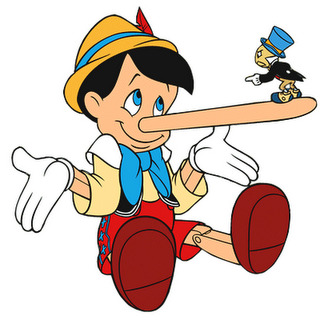 My opponent has also made deliberately false statements about me personally, and you have remained silent. According to the Albuquerque Journal, he even falsely claimed that I have never voted in New Mexico. He has publicly stated that I have "never held a real job." When Mullins made a statement to that effect on his blog, many veterans were deeply offended, and he was forced to constantly delete comments calling him out for this shameless attack. I can assure you that serving in combat with the United States Marine Corps in Fallujah was a real job! It is time to speak out if you want to show that you are not just playing favorites and salvage your own integrity. If you believe that it is your role to police the conduct of candidates, please lead by example and join me in condemning Mullin's negative campaigning with false statements that threaten our ability to unseat Ben Ray Lujan. For the sake of the party, let us focus on how we can better meet the concerns of voters regarding jobs and the economy so that we can take back our state in November. UPDATE: This letter was sent only to Yates and Republican county chairs. The Diane Denish campaign released a response to the KOB/SurveyUSA poll that showed her six points behind Republican Susana Martinez. 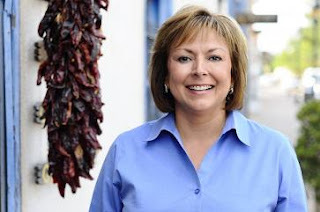 “Susana Martinez has been airing TV ads for weeks, so we take this with a grain of salt. When New Mexicans hear from both candidates, the choice will be clear. Diane Denish will be a different kind of Governor -- someone who stands up for regular families, while Susana Martinez is a failed prosecutor best-known for plea-bargaining drunk drivers and cutting deals with violent felons." One little irony here. While Martinez is, understandably embracing this poll, a few months ago Martinez wasn't so enthusiastic about automated polls. As The New Mexico Independent reported, Martinez in February blasted a poll performed by the PPP organization for using "questionable methodology by employing auto-dialers rather than live interviewers." Susana Martinez has big leads in the Republican gubernatorial primary according to a pair of statewide polls released Wednesday. KOB TV just released a poll showing Martinez leading Allen Weh by 10 percent. The other three candidates were all in single digits. The poll was by SurveyUSA, which does automated phone call interviews. The firm interviewed 464 likely Republican voters. This poll basically confirms the poll commissioned by Albuquerque blogger Joe Monahan, which was published early Wednesday. Monahan's poll showed Martinez ahead of Weh by 11 points. We surveyed 771 likely primary voters by automatic phone calls with Dialing Services LLC of Roswell, making for a low margin of error of 3.53%. The results were scaled to reflect the demographic and geographic make-up of the state. UPDATE: KOB later reported that their poll shows Martinez pulling ahead of Democrat Diane Denish. The results show Martinez ahead of Denish by 6 points, 49% to 43%. Denish beats each of the other Republican candidates in this portion of the poll, which has a margin of error of 2.7%. The polling interviews were conducted from Sunday, May 23 to Wednesday, May 25. Survey USA interviewed 1,405 likely to vote Democrats, Republicans, and Independents across the state in a potential match up of Martinez and Denish, who is running unopposed in her party's primary. Some of it's garbled. And there seems to be some weird electronic hum in the recording that sounds like it's straight out of the Eraserhead soundtrack. But the viciousness is pristine. The unidentified female caller actually does imply that Colón stole money from the Moving America Forward Foundation. But as I explain in my story in Tuesday's New Mexican, though the contributors to this non-profit have been kept secret, the expenditures are reported to the IRS and are public record. In fact I wrote about MAFF's final report in my column a few weeks ago. I spoke with Colón's campaign manager about the call this afternoon. He verified that the candidate was born in New York, as the robo-call said (though his family moved to this state when Brian was an infant). But contrary to what the call said, he never was a Young Republican -- and in fact worked with a union during his college years. Listen to the recording yourself below. 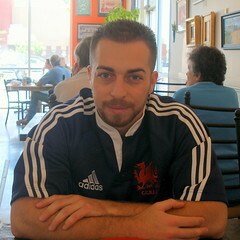 UPDATE 5-25-10: I just had a nice chat with Lawrence Rael, who also is running for lieutenant governor. He wanted me to know that he was the first candidate to call Brian Colón to disavow the robo-call. Today, his successor, current GOP Chairman Harvey Yates basically called out Weh for his recent attack ad on primary rival Susana Martinez. Yates also said Martinez's ad attacking Weh for his immigration position wasn't untruthful. Here's a press release from the party that went out this morning. After receiving complaints from several Republicans regarding ads being run by two leading Republican gubernatorial candidates, Republican State Party Chairman, Harvey E. Yates, Jr., assembled a committee to examine the ads. Documents supporting their ads were requested from both Susana Martinez and Allen Weh. The documents were examined to determine whether the ads were truthful. It was found that the documents furnished by the Susana Martinez reasonably supported her ad regarding Allen Weh’s earlier position on amnesty. However, it was found that the documents to which the committee was directed by Allen Weh did not reasonably support either his radio or TV ad. In Mr. Weh’s ad he suggests that Ms. Martinez has not paid her taxes. No support for that was found in the documents. Mr. Weh’s ads imply that Ms. Martinez has misused public funds in a variety of ways. Yet, an examination of the documents not only did not substantiate that claim, the examination results suggest that Ms. Martinez has handled public funds properly. In short, the effort undertaken revealed that Mr. Weh’s recent radio and TV ads are misleading. In regard to the above Chairman Yates stated the following: "Dishonesty in political advertising should not be tolerated in either party. I believe it to be quite unfortunate that one of the Republican gubernatorial candidates has issued ads which are so misleading. I note that when Mr. Weh accuses Ms. Martinez of failure to pay her taxes, this can be taken as suggesting possible felonious conduct on the part of Ms. Martinez. This suggestion by Mr. Weh, without clear evidence, is inappropriate." 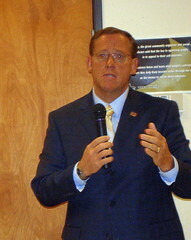 Mr. Yates continued, "Republicans expect honesty in government. How likely is that result, if dishonesty in campaigning is tolerated in those we elect to run government?" UPDATE: Weh's campaign just sent me this response from campaign manager Whitney Cheshire. Instead of letting rank and file Republicans think and speak for themselves, which thankfully will occur on election day, a group of self-appointed party insiders has wrongly and inexplicably decided to give Susana Martinez a free pass when it comes to keeping her word about running a negative campaign. The Chairman’s biased interference in a primary contest is harmful to the Republican Party and wrong for our state. Sadly, they even deny the indisputable fact reported by the Albuquerque Journal and Las Cruces Sun-News today that Susana Martinez launched the first negative salvo in this race. They also directly contradict President George W. Bush’s White House position on immigration reform. Regretfully, they would not even meet with our campaign to hear our arguments. Fortunately, rank and file Republicans – not party bosses and the media – will decide who wins this nomination, and we further believe their choice will be a successful businessman who has created jobs, not a career politician whose only real professional experience is as a government lawyer. We stand by our ad’s accuracy. Mrs. Martinez’s multiple ads falsely accusing Allen Weh of supporting amnesty are fundamentally dishonest and misleading. I've been contacted today by two Santa Fe Democrats who received robo-calls bashing Democratic lieutenant governor candidate Brian Colón. One of the two said the call claimed to be from a group called "Democrats for Better Government." ... Brian was "bad for Democrats and bad for New Mexico," the female voice went on to provide exaggerated, distorted and incorrect information about Colón. 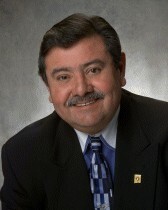 It touched on his tenure as DPNM Chair, the presidential caucus and other aspects of Colón's career. It was very nasty. 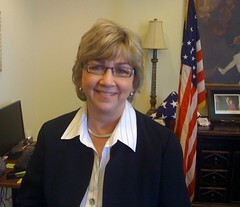 Barb found an Indiana group with the name "Democrats for Better Government." But that name's pretty generic and at this point there's no evidence the calls had anything to do with anyone in Indiana. He's not going to become the next head of the Motion Picture Association of America. According to some reports from movie-trade publications, that position is going to another Democratic politician, former Nebraska Sen. Bob Kerry. Gov. 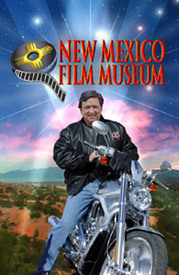 Bill Richardson today announced his decision to suspend operations of the New Mexico Film Museum effective June 30, 2010 as a budget saving measure. The Museum was created by SB 701, the New Mexico Film Museum Act, during the 2003 Legislative Session. While the Museum itself will suspend operations, the mission to serve New Mexico filmmakers will continue through the New Mexico State Film Office. Museum programming will continue in other Department of Cultural Affairs museum venues as funds become available. Vicious political attack ads. Big juicy steaks. iPods. Hooters. This Republican gubernatorial race quickly is shaping up to be my kind of show. I'm referring to the latest round of attacks between GOP candidates Susana Martinez and Allen Weh. What had been a relatively congenial race suddenly turned into a demolition derby following Sunday's release of the Albuquerque Journal poll showing Weh, who has put $1 million of his own money in the campaign, just 1 percentage point ahead of Martinez. The very next day, Martinez was out with an ad calling Weh a "divisive party chairman" and accusing him of supporting "amnesty" for illegal immigrants — because back in 2007 Weh had backed the immigration reform plan being touted by those bleeding-heart liberals George W. Bush and John McCain. But that ad might have been the equivalent of bringing a knife to a bazooka fight. By Wednesday, Weh was on television accusing "career politician" Martinez of "failing to pay taxes." In a cool little special effect, one of Martinez's hands in a black-and-white photo turn red when the announcer says "... auditors caught her red-handed." The ad goes on to tell how Martinez, the longtime district attorney in Las Cruces, spent taxpayers' money on "extravagant dinners, luxury hotels, dinner at Hooters, even iPods." And there's even one scene in which Martinez is shown standing in front of Gov. Bill Richardson and Lt. Gov. Diane Denish, which in New Mexico GOP primary ads has the same desired effect as showing Darth Vader and Dr. Doom. Weh vehemently denies he supports "amnesty" and said "Martinez broke Ronald Reagan's so-called 11th commandment (by attacking) a fellow Republican when she initiated the first false, negative and desperate attack." Martinez's campaign manager Adam Deguire said Weh "has stepped across the line and his attack is both slanderous, false and unbecoming of someone who claims to conduct himself honorably." Don't worry. Eleventh commandments were made to be broken. First the tax issue. No, Martinez wasn't caught cheating on her personal income taxes. Weh's charge refers to a 2009 audit in which Martinez's office was criticized for employing 24 workers as "independent contractors" to destroy old closed-case files. The District Attorney's Office was liable for paying federal taxes for those workers, the auditor said. The auditor recommended the workers be hired as employees or contracted from a private agency, which would be responsible for the taxes. That's what happened as a result of the audit, the campaign said. And yes, Hooters appears not once, but twice in Martinez's expense accounts. One of her female employees ate at the Hooters in Miami (where the total bill, not including a vodka martini, was $17.86). Then, a few months later, another staff member enjoyed some hot wings and iced tea at a Hooters in Minneapolis. (Total bill, $14.91.) All expense account reimbursements have to be approved by the Department of Finance and Administration, the Martinez campaign pointed out. This is the second time Hooters has come up in this campaign. As I reported in this column last year, Denish, the Democratic nominee for governor, received a $1,000 contribution from Albuquerque Hooters. Then there's the iPods. Martinez's records include invoices for three iPod Nanos, which cost about $200 each plus postage and handling. For one of those, the state paid an extra $30 for overnight delivery. No, these digital music players aren't being used for Martinez and her attorneys to rock out to Ted Nugent. Instead, the campaign said, Martinez and her staff use them to listen to witness and defendant statements and jail-phone calls. Stay tuned. This is only going to get more interesting. You can tell it's an unusual election year. There are not one, but two contested legislative races in the Santa Fe vicinity this year with newcomers hoping to upset longtime incumbents. Up in District 46, House Speaker Ben Lujan faces his first opponent in a decade, and his forst primary race since 1996. His challenger is Carl Trujillo. Read my story about that HERE. Then, up in Los Alamos two Democrats -- Stephanie Richard and Pete Sheehey, both political novices, hope to unseat longtime Republican state Rep. Jeanette Wallace. You can read about that race HERE. Wallace hasn't faced an opponent for the past five cycles. In both races the incumbents have a big money lead over the challengers. But like I said, it's an unusual year with lots of anti-incumbent undercurrents. Both Lujan and Wallace are taking this election seriously. "Don't f#@#*&^ look at me!" 17th day of February, 2010. My story in The New Mexican on the Republican primary race in the 3rd Congressional District -- Adam Kokesh vs. Tom Mullins -- can be found HERE. Recently The Politico did a poll of Tea Party participants indicating that there two major factions -- a social-conservative contingent that identifies with Sarah Palin and a libertarian wing that identifies with Ron Paul. That dynamic seems to be at play here with these candidates in CD3. New Mexico One of the Nation's LEAST CORRUPT States! If you're waiting for a punchline, there isn't one. According to a feature in The Daily Beast, New Mexico ranks 45th in the list of most corrupt states. We are behind such corrupt cesspools as Minnesota, North Dakota. Kansas and Vermont. Recent Scandal: New Mexico has a long history of public corruption (see: New Mexico state treasurers), and one of the more interesting characters to arise from its history is Manny Aragon. Aragon was a senator for the state for 29 years, but his legacy was marred in 2008 when he pleaded guilty to three counts of conspiracy and mail fraud related to a plan to steal $4.4 million from the state during the construction of the Albuquerque metro courthouse. He was sentenced to more than five years in prison and ordered to pay a $750,000 fine and $649,000 in restitution. The Beast looked at a decade's worth of FBI statistics for all 50 states plus Washington, D.C, in the areas of public corruption, racketeering and extortion, forgery and counterfeiting, fraud and embezzlement. At least we're in the top 10 for embezzlement. Thanks to my friend Bob for tipping me to this. And congratulations to my former colleague Laura Husar whose photo of Manny in action was used to represent our state. Former Alaska Gov. Sarah Palin will be in Albuquerque Sunday to endorse Susana Martinez for Governor, the Martinez campaign announced. Palin is scheduled to appear 9:00 AM at the Albuquerque Marriott Grand Ballroom, located at 2101 Louisiana Blvd. NE. The former GOP vice presidential nominee is one of the most colorful, controversial figures in the Republican Party today. Until now the Republican gubernatorial field has been cautious about Palin. When she appeared in Roswell for a book signing event in December, none of the hopefuls showed up. In fact at the time a spokesman for the Martinez campaign told me the campaign would not be seeking Palin's support. 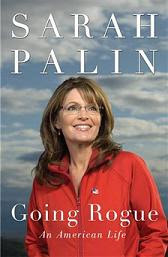 Palin should help Martinez with the most conservative part of the already very conservative base of GOP primary voters. It won't help with moderate Republicans who have been considering supporting Martinez. Of course, that begs the question of how many moderate Republicans actually are left in the party. Democrats should be expected to make hay out of the Martinez connection in the general election, though it's questionable how much average voters pay attention to such associations. But only as a guest. According to a press release, Gov. 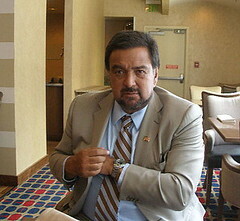 Bill Richardson will attend a state dinner next week in honor of Mexican President Felipe Calderon. He'll fly to Washington Tuesday and return to New Mexico on Thursday. This will be the second state dinner for Richardson during this administration. He also went to President Obama's first state dinner last November, which was in honor of India's Prime Minister Manmohan Singh. Back in January when I interviewed Gov. Bill Richardson up in his office, I asked him if he was unwilling to release the names of the exempt state employees who were terminated to help balance the budget, if he would at least give us the titles of those let go and the agencies they worked for. Four months later, I guess he thought it through. He released such a list today. Of course, the decision to release this list might have more to do with the attorney general's opinion that Richardson may have violated open records laws by refusing to release the names. Courtesy Green Chile Chatter, here's the list of positions of those who were terminaed. Susana Martinez once won a ballroom dancing competition. Doug Turner enjoys ’70s cinema. Pete Domenici Jr., a lawyer for more than 20 years, has been quietly taking graduate classes in community and regional planning. Janice Arnold-Jones likes the UNM Lobos better than any professional sports team. The fifth GOP candidate, Allen Weh, chose not to participate in the questionnaire. Of course, this might seem frivolous and it’s doubtful anyone will chose a governor based on favorite books and movies. But some voters like to know a little about the personalities and personal lives of the people who might become chief executive. There actually are at least two dancers among the GOP candidates. Arnold-Jones listed dancing along with gardening as her hobbies. But Martinez actually won the “Dancing with Las Cruces” ballroom dance contest last year. Martinez listed that under the category “Talents some people might not know you had.” Answering that same question, Domenici mentioned his status as a grad student at The University of New Mexico School of Architecture. He said he has 45 hours of course work completed for a degree in planning. Arnold-Jones, besides her talent in dancing, also mentioned that she was chief coach for the American Youth Soccer Organization in Albuquerque, where she not only coached kids, but taught other adults how to coach. Turner’s secret talent was cooking. There he faces serious competition from Weh, whose campaign has released videos of the candidate preparing soup and curry dishes. I asked the candidates which book they read most recently. Arnold-Jones answered Benjamin Franklin: An American Life by Walter Isaacson. Turner listed two: Wolf Hall by Hilary Mantel and I Claudius by Robert Graves. Martinez, a district attorney, apparently likes courtroom drama. She said her most recent book was The Summons by John Grisham. 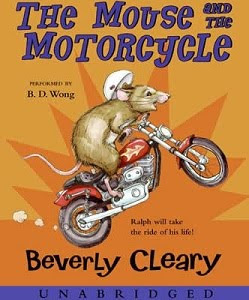 Domenici said his most recent was The Mouse and The Motorcycle by Beverly Cleary. He clarified that he read this with his 10-year-old daughter. Two of Arnold-Jones’ film picks were sports films — Field of Dreams and The Replacements. 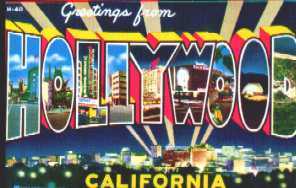 She also listed In Harm’s Way, a World War II movie starring John Wayne. Turner listed three movies from the ’70s. 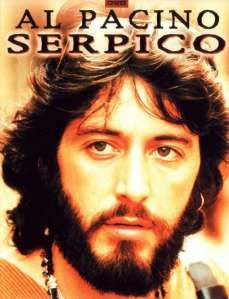 Two dramas — Three Days of the Condor and Serpico — and a Peter Sellers comedy, Being There. Turner didn’t answer the favorite professional sports. But unsolicited, he named his favorite modern philosopher — libertarian heroine and Atlas Shrugged author Ayn Rand. Arnold-Jones went with another Republican president, one Abraham Lincoln. She liked Honest Abe's "Team of Rivals" aspect. "He governed by consensus, and surrounded himself with people who would enrich his decisions. That’s what I have done as a state representative and it’s what I will do as governor," Arnold-Jones wrote. Domenici went with one outside the realm of politics: Microsoft founder Bill Gates. R.I.P. Jetter Johnson: A local civil-rights pioneer and longtime state worker died Tuesday at Christus/St. Vincent Regional Medical Center. With her late husband, Jetter Johnson, 89, started the Santa Fe chapter of the National Association for the Advancement of Colored People in the early ’70s. Johnson worked for many years at the county welfare office, first as a Food Stamp worker, then a Food Stamp supervisor, retiring in 1984. I first got to know her because she worked with my mom in the ’70s and ’80s. She was a sweet and wonderful lady. Johnson is preceded in death by her husband, Tom Johnson Sr., who died 10 years ago this month. She’s survived by her children, Tom Johnson Jr. and Bea Johnson. Funeral arrangements are pending. The New Mexican published my profiles of the GOP governor contenders this morning. It's a weekend and I'm on vacation, so I really have no business blogging here. But this letter of resignation from Rod Montoya, 2nd vice chairman of the state Republican Party, caught my eye. He says he's resigning because he doesn't like Congressional candidate Adam Kokesh's positions. That seems odd, given the fact that Kokesh got less than 20 percent at the GOP pre-primary convention compared with the 80 percent showing by his only rival for the 3rd CD nomination -- which would seem to make Kokesh a longshot for the nomination. 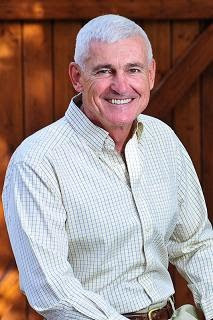 Does Montoya think Kokesh has a good chance of defeating Tom Mullins in the primary? Is he saying that candidates who go against the grain of party orthodoxy shouldn't even be allowed to run? Montoya said he's also frustrated by too many candidates in the Republican governor's race. Here's the letter. I'm going back on vacation. I regret to inform you that I am stepping down from my position in party leadership. 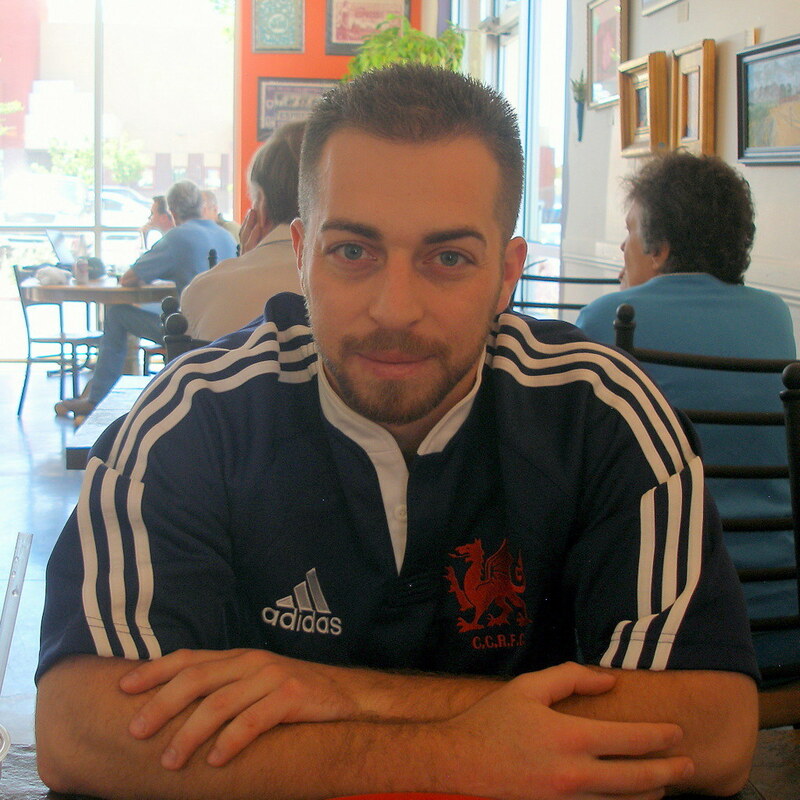 I am unable to stand by any longer as Adam Kokesh, candidate for Congress in the third congressional district, continues to mislead Republican voters. Mr. Kokesh has spent the last year re-making himself as a mainstream Republican with conservative values. Anyone who was paying attention to Mr. Kokesh’s rhetoric from the beginning, or has bothered to ‘Google’ him on the internet, knows that this is not the case. Adam has made much political hay about his military service. To be honest; it is probably his only real qualification to run for Congress. Since returning from his second voluntary deployment to the Middle East, he has become a professional war protestor. He has even gone so far as to encourage soldiers to “consider the constitutionality of their deployment orders”, in other words, if you think your orders to go to Iraq or Afghanistan are unconstitutional they should not be followed. He told soldiers in Germany getting ready to deploy that if they wanted to desert, they would be assisted by his organization. - - Isn’t sedition still against the law? This action, as well as dozens of others were documented and proudly promoted on ‘YouTube’ by Mr. Kokesh himself. However, many of his most outrageous acts have been removed from the internet once they became a negative in his race for Congress. Interestingly enough, the video of Adam disrupting the 2008 GOP acceptance speech of John McCain is still available for your viewing. I went to Santa Fe last year to meet personally with Mr. Kokesh when his decision to run for office was made public. At that meeting he described to me his “libertarian belief” of self-ownership. He said that “since I own this body, no one can tell me what I can ingest, intake, inhale, imbibe, or inject into it”. This included heroin, cocaine, and meth. His support of abortion, gay marriage, and legal prostitution were also covered by this belief. Mr. Kokesh is now saying whatever it takes to win the Republican primary. It’s not hard to guess where he will stand on the issues, when the election is over. I have also been very frustrated, along with most of the other County Chairmen, by the unwillingness of several candidates running for governor to honestly assess their chances of winning. Unfortunately they seem to be driven more by personal ambition than what is good for the state and for their party. There have been far too many politicians, in recent history, who have taken this road and look were it has led us all - to the brink of socialism and bankruptcy! In Republican primaries everywhere the argument between campaign supporters revolves around 2 issues, a candidates electability and their conservative values. It just so happens that in this year’s governor’s race, Susana Martinez is both the most electable and the most conservative. She has proven this in four previous elections for District Attorney, in a heavily Democrat county. She brings Dona Ana County into play; no other Republican candidate does this. Last year’s municipal elections in Las Cruces were a clean sweep for Democrats. We must acknowledge that the Democrat Party believes Susana to be the biggest threat to their power. Susana is exactly what our party and our state need at this time, I believe this and most of the county parties’ leadership believes this, just look back to the state pre-primary convention results. It is now my understanding that one of our gubernatorial candidates is planning on submitting legislation that would do away with pre-primary conventions in the future. As you know, this process attracts hundreds of Republican volunteers and motivates people to get involved in the process. I guess if you don’t like the volunteer barometer, you just get rid of it and further remove the grassroots from the party. As you know, I have worked to grow the role of grass-roots and county party leadership within state party politics. I have also worked to develop relationships between county party chairmen, and I have made it my personal goal to increase Hispanic participation in the Republican Party in general. Because of this, I do not take my actions lightly or without careful consideration, but I am unwilling to just sit back and hope that the voters (in my sphere of influence) see through the smoke screen of misrepresentation and slick advertising. However, I want to make it clear that I am not going to work for any one candidate, but I plan on informing the voters of specific candidate misrepresentations, I am going to personally support several candidates that I believe in, and continue my efforts to expand the participation of Hispanics in the party. So, it is with much sadness that I respectfully submit my resignation at this time. There's no Roundhouse Roundup column this week because I'm on vacation. Be back next week. In the meantime, here's a profile of former Gov. Gary and his candidacy/non-candidacy in Salon.com. What about the idea of increasing security by means of a border wall?